Ever wonder just how you can explain Haptics to your friends? 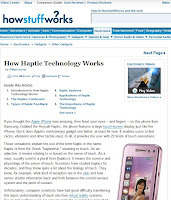 HowStuffWorks has posted a really helpful and insightful article about Haptics. They even mention the Falcon (naturally). Enjoy!